From June 21st– 23rd, 2018, the city of Ancona hosted “Innov-Aging”, the first Expo Meeting completely dedicated to Silver Market innovations, particularly focused on Economy & Finance, Health & Wellbeing, and Technology. The Silver Economy refers to economic activities dedicated to the needs of people over 50, which includes products, systems and services. 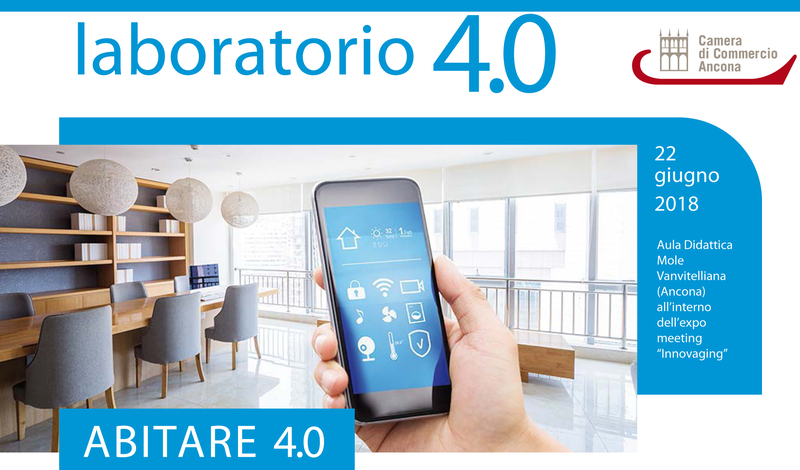 Among the areas of Innov-Aging, MAC participated in the Laboratorio Abitare 4.0, dedicated to new digital technologies applied to the building and residential sector, an initiative organized by the Chamber of Commerce of Ancona and Fermo, as well as the Università Politecnica delle Marche. MAC’s ability to design, create and manage Smart Home systems, has allowed for the automatization, control and optimization of tasks in a domestic environment (like thermo-regulation, lighting scenarios, safety and entertainment), guaranteeing efficiency and reduction of costs. Furthermore, MAC’s commitment to research and development has resulted in promoting and improving the social, psychological and physical wellbeing of the Silver Generation.